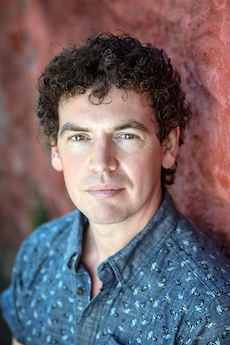 Kit is a Cardiff-based television writer and a past graduate of the BBC’s Continuing Drama Series Writers’ Academy. To date he has written multiple episodes for all four of the BBC’s Continuing Drama Series; EASTENDERS, DOCTORS, CASUALTY and HOLBY CITY as well as multiple episodes for the last six series of BBC’s FATHER BROWN and two series of THE CORONER. He is currently a lead writer on BBC series SHAKESPEARE & HATHWAY – PRIVATE INVESTIGATORS and has written multiple episodes for both series. Kit has previously been commissioned to write an episode of CRITICAL for Sky One (Hat Trick) and two episodes of Red Planet Pictures’ BBC Wales TV drama, CRASH, created by Tony Jordan. In terms of his original work, he has had scripts and ideas under option to Hat Trick, Company Pictures and Headstrong. ITV commissioned two scripts of his original drama LIFERS, developed with Craig Cash’s company Jellylegs. Currently Kit is working with Hat Trick Productions developing his original period drama, plus they’ve also recently commissioned him to adapt a book. He is currently writing on a new historical drama series for Fremantle International. Kit is also a playwright, and has previously written plays for Paines Plough (Wild Lunch), Hijinx, Sherman Cymru, Kompany Malakhi, Dirty Protest and the Hotbed Festival (2012). He collaborated with four other writers on True Fiction’s production of THE EXQUISITE CORPSE (Edinburgh Festival 2008, Southwark Playhouse). Kit’s short play THE LUNCH BREAK was optioned by Fiction Factory Films following its debut performance in Cardiff. He has also written showcase scripts for the last four years for the acting students at the Royal Welsh College of Music & Drama. Original 60' script under option. Treatment commissioned. Commissioned to write a series document and complete development work for a proposed 5 x 45’ drama series based on real events and research by BBC Factual. Commissioned to write storyline and 60' script for this popular Sky 1 medical drama. Original comedy drama idea optioned and developed. ITV commissioned Kit to write two scripts. Co-devised comedy idea optioned and treatment commissioned. Kit participated in this weekend run by Sherman Cymru in July 2012. Monologue commissioned for Hotbed Festival 2012. Commissioned to write short play. Commissioned as dramaturgical advisor and writer on two new projects in development. Commissioned to write full-length play. Commissioned to write a play fragment for a new writing scheme. Writer/Dramaturg for new play for young people, commissioned for Arts Council Wales’ ‘Nights Out’ tour. Commissioned to take part in writing scheme with performance in November 2009 at Emlyn Williams Theatre. Play commissioned which toured venues in England and Wales from September to December 2009, dir. Louise Osborn. Play performed at Chapter Arts Centre, dir. Jeff Teare. Play commissioned, devised with the composer Paul Jones, Sherman Theatre, dir. Dafydd Huw James. One of five writers on the acclaimed project, performed at Wales Millennium Centre, Edinburgh C Venues (part of Festival 2008) and the Southwark Playhouse (2009), dir. Matthew Peover. Short play performed at Dempseys, Cardiff, dir. Alice James. Short play performed at Milgi, Cardiff, dir. Catrin Rhys. Script was subsequently developed and produced as short film by Fiction Factory, 2008. Play performed as part of the Wild Lunch season, Young Vic, dir. Roxana Silbert. Dramaturg for Shakespeare production, working on rehearsal script and conducting text work with actors, dir. Erica Eirian. Play performed after extracts won the first Sherman annual Script Slam competition, dir. Kit Lambert. Full play was subsequently short-listed for the Kings Cross New Writing Award. Selected to participate in an 8-month initiative for experienced drama writers, under the stewardship of the industry’s leading writers, development execs and producers. Winner of the Wales heat of the Farrago UK Poetry Slam 2010. Grand finalist in BBC Radio 4’s National Poetry Slam. UNTITLED (2018-19) Hat Trick Productions Original 60' script under option. Treatment commissioned. UNTITLED (2016-17) BBC Commissioned to write a series document and complete development work for a proposed 5 x 45’ drama series based on real events and research by BBC Factual. CRITICAL Series 2 (2015) Hat Trick Productions Commissioned to write storyline and 60' script for this popular Sky 1 medical drama. LIFERS (2011-13) Jellylegs/ITV Original comedy drama idea optioned and developed. ITV commissioned Kit to write two scripts. LIMELIGHT (2011-13) Hat Trick Productions Co-devised comedy idea optioned and treatment commissioned. SHERMAN SWINGERS (2012) Sherman Cymru Kit participated in this weekend run by Sherman Cymru in July 2012. THE ODYSSEY OF DIMITRI AMIRAS (2012) Menagerie Theatre Company Monologue commissioned for Hotbed Festival 2012. FREESTYLE FORUMS (2011) Kompany Malakhi Commissioned to write short play. LOCKED DOOR/ONCE UPON A TIME (2011) Likely Story Commissioned as dramaturgical advisor and writer on two new projects in development. DELUGE (2010) Sherman Cymru Commissioned to write full-length play. AEROPLANES (2010) Clwyd Theatr Cymru Commissioned to write a play fragment for a new writing scheme. PEA (2010) Likely Story Writer/Dramaturg for new play for young people, commissioned for Arts Council Wales’ ‘Nights Out’ tour. WRITE 2 ROCK (2009) Clwyd Theatr Cymru Commissioned to take part in writing scheme with performance in November 2009 at Emlyn Williams Theatre. GULLIVER (2009) Hijinx Theatre Company Play commissioned which toured venues in England and Wales from September to December 2009, dir. Louise Osborn. INCIDENTAL (2008) Catalan-Wales Drama Festival Play performed at Chapter Arts Centre, dir. Jeff Teare. NOTE/BOOK (2008) Sherman Cymru Play commissioned, devised with the composer Paul Jones, Sherman Theatre, dir. Dafydd Huw James. THE EXQUISITE CORPSE (2008) True Fiction Theatre One of five writers on the acclaimed project, performed at Wales Millennium Centre, Edinburgh C Venues (part of Festival 2008) and the Southwark Playhouse (2009), dir. Matthew Peover. FADE TO BLACK (2007) Cardiff Bites Short play performed at Dempseys, Cardiff, dir. Alice James. THE LUNCH BREAK (2007) Dirty Protest Short play performed at Milgi, Cardiff, dir. Catrin Rhys. AFTERTASTE (2006) Paines Plough / Graeae Play performed as part of the Wild Lunch season, Young Vic, dir. Roxana Silbert. AS YOU LIKE IT (2006) Dramaturg for Shakespeare production, working on rehearsal script and conducting text work with actors, dir. Erica Eirian. THE CUSTOM HOUSE (2006) Sherman Theatre Play performed after extracts won the first Sherman annual Script Slam competition, dir. Kit Lambert. Advanced Writing for TV Drama (2017-18) Creative Skillset/MediaXChange Selected to participate in an 8-month initiative for experienced drama writers, under the stewardship of the industry’s leading writers, development execs and producers. POETRY Winner of the Wales heat of the Farrago UK Poetry Slam 2010. Grand finalist in BBC Radio 4’s National Poetry Slam.